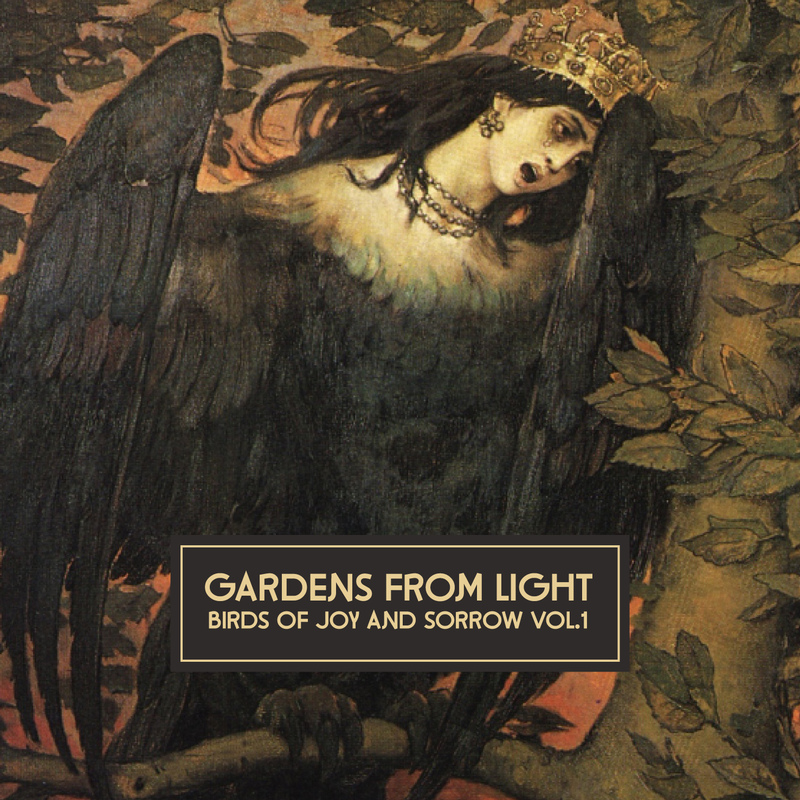 Gardens from Light are an ambient drone duo from the North of England. They formed during 2006 and consist of individuals I. Sparke and S. Illidge. Their release “Birds Of Joy And Sorrow“ is a massive work in two pieces. Both together two hours long. 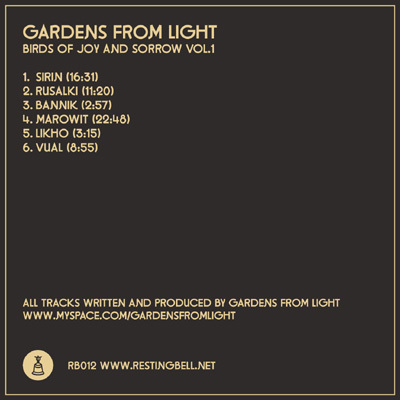 12 deep and dark sonic landscapes of drones, walls of strings and field recordings. In the russian legend a “Sirin“ is a bird with the head and chest of a beautiful woman, singing beautiful songs. But for mortals they are dangerous. When you hear their singing, you follow them and die.